The first few years of teaching can be challenging for educators as they develop the skills needed to promote student learning. According to the National Center for Education Statistics’ 2012 Schools and Staffing Survey, one third or more of first-year teachers reported feeling underprepared in areas such as instructional methods, classroom management, and discipline. How prepared do teachers report being their first year in the classroom? Aligning teacher preparation and supports across educator preparation institutions and school districts can help ensure that new teachers develop the skills and competencies they need to succeed. Yet educator preparation institutions and districts often are not engaged in a collaborative relationship. In Michigan, Regional Educational Laboratory (REL) Midwest is working to address this issue through the Midwest Alliance to Improve Teacher Preparation (MAITP). This alliance, which includes the Michigan Department of Education (MDE) and others, seeks to strengthen the quality of the teacher pipeline. On October 23, 2018, MAITP and MDE hosted the event “A Well-Prepared Teacher: Aligning K–12 and Higher Education Expectations,” in Lansing, Michigan, to help connect K–12 entities and educator preparation institutions in the state. 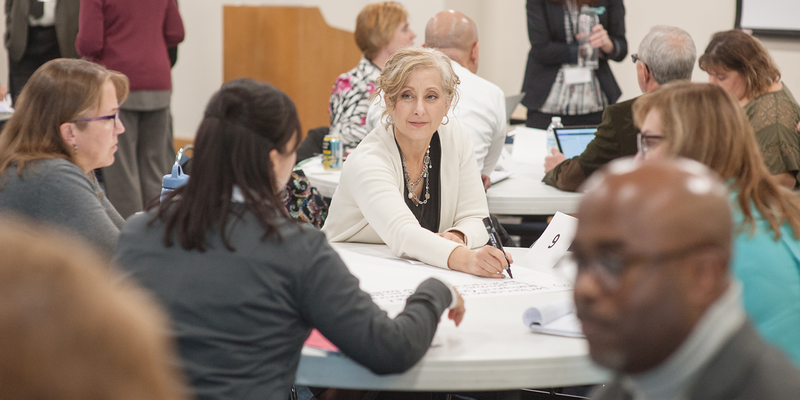 This half-day event brought together superintendents, principals, and directors from 13 K–12 districts and organizations across Michigan to participate in a dialogue with deans, professors, and directors from 17 educator preparation institutions. To set the context for the dialogue, REL Midwest researcher Natalya Gnedko-Berry, Ph.D., provided an overview of the research base on teacher preparation, including the qualities and competencies most commonly associated with teachers who persist and succeed in the profession. Paula Lancaster, Ph.D., a professor and director of teacher education at Grand Valley State University, then described high-leverage practices developed by TeachingWorks, which teachers can use to provide a high-quality learning environment for all students. Next, two moderated panels gave attendees the opportunity to hear about Michigan educator preparation institutions that are partnering with districts to align teacher preparation and curricula. The first panel included leaders from three educator preparation institutions: Central Michigan University, Hope College, and Northern Michigan University. The second panel featured principals from K–12 schools and districts working with these three institutions. The panel moderator, MAITP facilitator Steve Dibb, helped make connections, guide conversations, and pose questions to the panel. Following the panel sessions, attendees took part in facilitated table discussions on effective classroom practices that may be scalable across Michigan’s education preparation institutions and partner districts. The table groups also discussed challenges and opportunities they face in preparing and supporting teachers. The photo above shows Dr. Lancaster taking notes while facilitating a table discussion. As a close to the event, participants shared goals and next steps for improved alignment and collaboration. By better aligning teacher preparation and supports across educator preparation institutions, districts, and schools, Michigan educators can help advance MDE’s strategic plan of becoming a top 10 education state in 10 years. Potential benefits for Michigan schools and districts include improved educator effectiveness; increased retention of highly skilled teachers; the reduced financial burden of replacing qualified teachers; more stable learning environments for students; and, ultimately, improved student outcomes. >> Learn more about REL Midwest’s events. U.S. Department of Education. (2012). National Center for Education Statistics Schools and Staffing Survey, public school teacher data files. Retrieved December 19, 2018, from https://nces.ed.gov/surveys/sass/tables_list.asp.